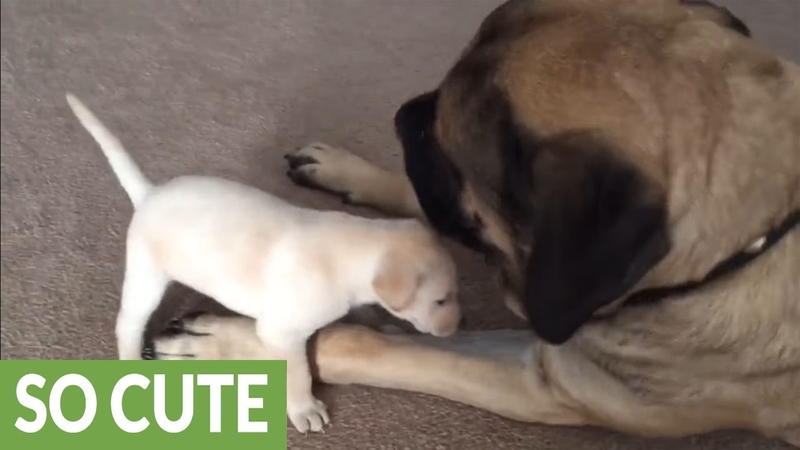 Seeing tiny pups as they play with dogs 10 times bigger than them, never stops being cute. Apparently size really does not matter when there exists a special bond between two doggy friends. Here we have a giant Mastiff playing with a fearless pup that shows no intimidation what so ever in front of the giant size of the other dog.